1. Lighten Hair: Mix honey with chamomile tea. Spray the mixture on your hair and use a shower cap to cover your hair. Let it sit overnight. Wash and condition in the morning. Style your hair like you usually would. 2. Blackheads: Mix honey and Lemon juice. Apply mixture directly to the affected area at bedtime. Rinse off your face in the morning with lukewarm water. Cleanse with a gentle cleanser and moisturize. Apply Sunscreen anytime you step out of the house. 3. Dry Lips: Exfoliate your lips and apply a thin layer of honey on your lips before bedtime. The honey will moisturize and soften your lips overnight. 4. Scars: Cleanse your skin and pat dry. Apply a thin later of raw, organic honey on the scar. Leave the honey on the skin overnight. 5. Acne: Apply raw, organic honey to the affected area and cover it with a bandage. Leave it on the skin overnight and rinse the next day. 6. Split Ends: Get rid of split ends overnight by using honey mixed with olive oil. Apply the mixture to the ends of your hair to moisturize and treat the split, and dry ends. 7. 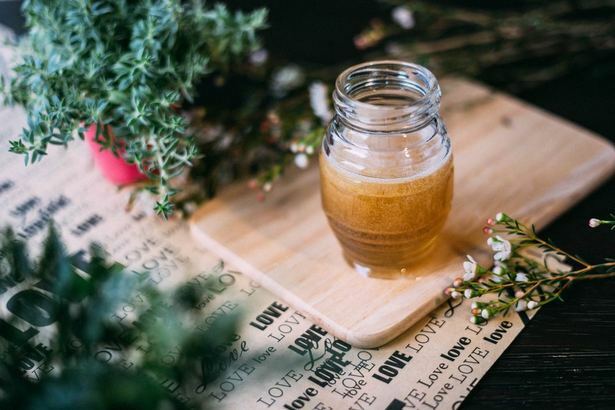 Glowing Skin: Mix one part raw honey with two parts pure aloe vera. Apply this on your face before bedtime. Leave it on overnight and cleaner in the morning. Which of these hacks are you going to try?